"The Cromford Canal ran 14.5 miles from Cromford to the Erewash Canal through 4 tunnels and 14 locks. The canal obtained its Act of Parliament in 1789 and opened in 1794. The canal despite costing about twice the initial estimate (£42,697) was a financial success. The canal mostly carried coal, lead and iron ore extracted from inside the Butterley Tunnel. In 1900 the 3,063 yard Butterley Tunnel was closed due to subsidence. 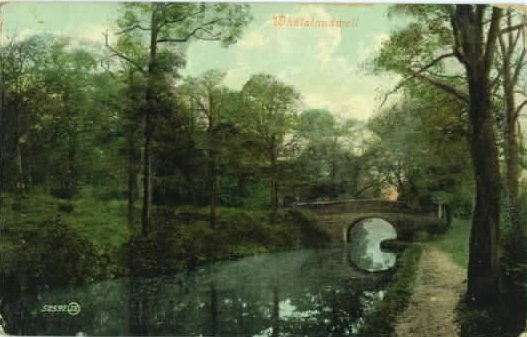 Most of the canal was abandoned in 1944 with the exception of a half mile stretch to Langley Mill which was abandoned in 1962. Some attempts are being made to restore the canal and about 5 miles of it is in shallow water".